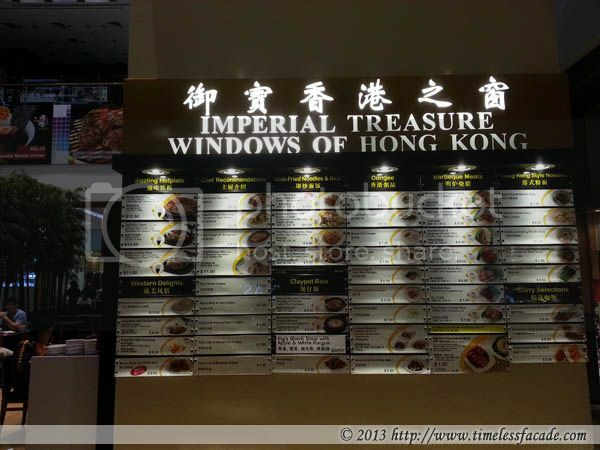 It is with much trepidation that I have decided to blog about my favourite eatery in town - Imperial Treasure Windows of Hong Kong or ITWHK for short. But it's probably already an open secret, judging by the ever increasing crowd size everytime I drop by for dinner. I'm still delusional though and am crossing my fingers that the crowds don't continue growing. Nestled on the ground floor of TripleOneSomerset (former PUB building) in between the Imperail Treasure Bakery and the Imperial Treasure Steamboat Restaurant (which isn't that great in my humble opinion), ITWHK offers an open, rather expansive seating area that doesn't feel cluttered or claustrophobic. Think al fresco dining with air conditioning. Really great for a nice quiet dinner on a weekday night (parking is expensive though so watch it). How the place works is this. 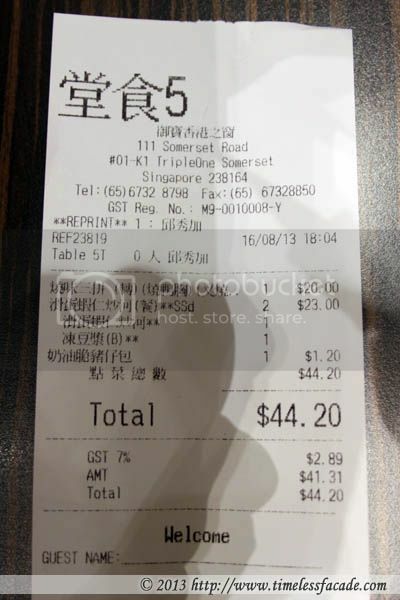 You order at the counter, take a number tag to your choice of seat and your food will be delivered to you shortly. We started off with the 奶油猪仔包, loosely translated as "cream piglet bun" and a perennial favourite of mine whenever I visit Tsui Wah in Hong Kong or Shanghai. 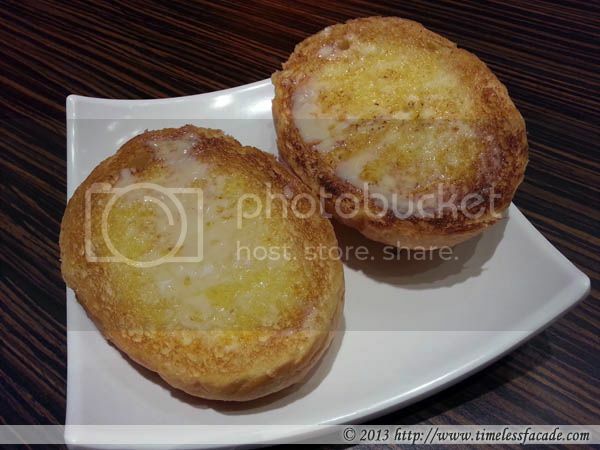 This is essentially a toasted bun lathered with butter and condensed milk - sinfully crisp and delicious. 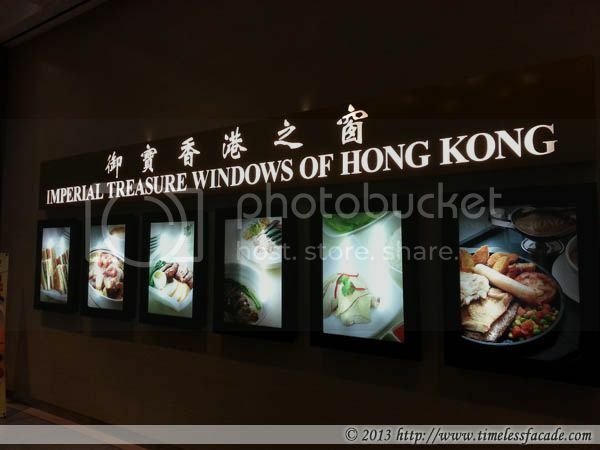 Though ITWHK's rendition pales a little in comparison to that of Tsui Wah's, it is definitely worth a try, especially when consumed whilst hot! Our meat platter consisted of roast duck, roast pork and BBQ pork. To be honest, they were all very decent. 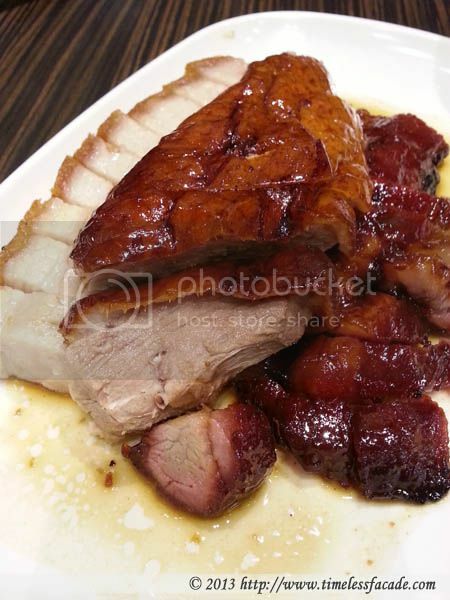 In particular, the BBQ pork stood out - tender meat with bits of chewy fat and a nice, mildly sweet glace. The roast duck had a crisp skin and didn't come across as too gamy whilst the roast pork spotted mildly crackling skin with a good proportion of fats. Only gripe I had was that the duck was a little dry while the roast pork lacked adequate salt and the oomph factor. I can be quite a sucker for 河粉 so I'm probably biased on this. 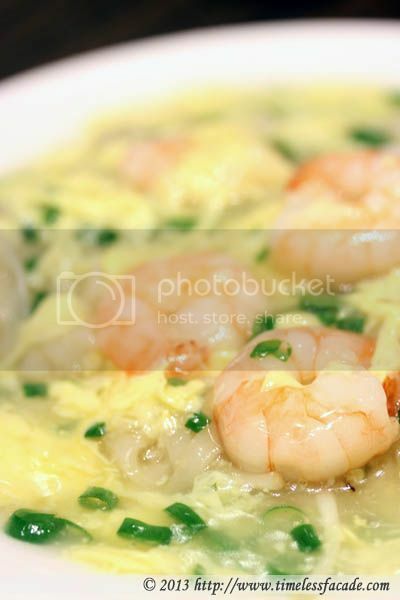 Rice noodles with a tinge of wok hei drowned in a smooth, not too starchy egg gravy and topped with a generous amount of bean sprouts and reasonably sized, crunchy prawns. 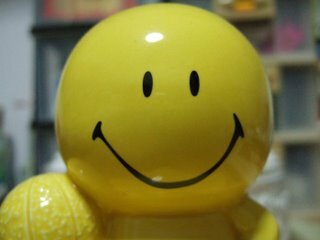 Good! There is a slight issue of consistency though as on a subsequent visit, the gravy was a wee bit too starchy for my liking. 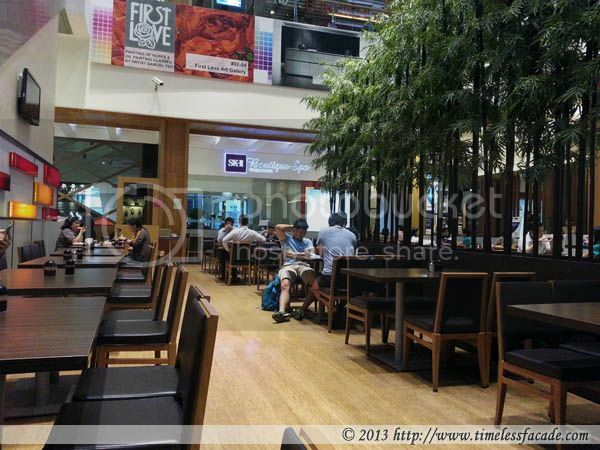 Above average food, great environment (to have a peaceful dinner) at wallet friendly prices. What's not to like? Well, maybe the sad reality that the place is going to be more crowded in the near future. Have you tried the egg tart from the bakery next door? It's the best you can get next to Tai Cheong in sg. Nope haven't tried it though I've bought bread from there before.